YouTube Downloads: The world's most popular video-sharing site. YouTube, as you know, is the world's most popular video-sharing site. At YouTube Statistics they claim almost one-third of all people on the internet are users - that's more than a Billion users! Anyway, if you have never heard of YouTube, then you have probably only just arrived on planet earth! Now herein lies the problem. You need to be connected to the internet to watch a YouTube video. While that is fine most of the time, there are times when you don't have a connection to the web, or that connection is expensive to use (like on a cell phone) or it is just plain slooowwww. It's for times like these that you will want to download YouTube videos so that you can play them directly from your computer or mobile device without using an internet connection. 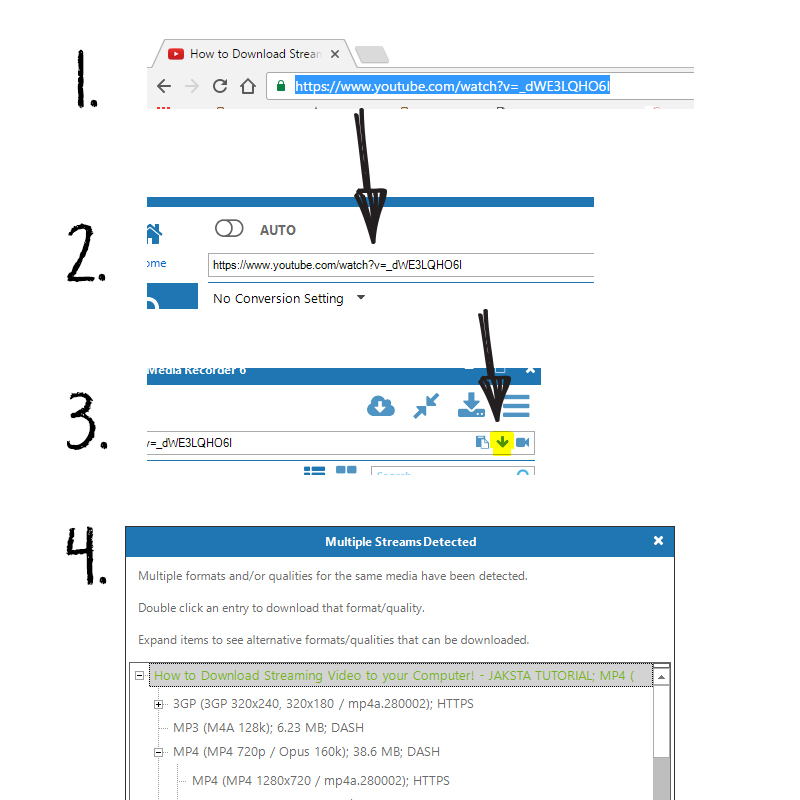 Downloading video from YouTube doesn't cost anything (its 100% completely free), and it's easy to get the video in different formats and qualities. It's also very fast, even with slow connections - Up to 10 times faster than video playback speed. 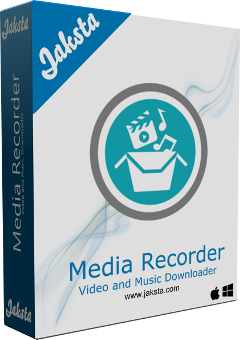 You first need to download and install Jaksta Media Recorder and then follow these 4 instructional steps on how to download videos from YouTube. In your browser go to the YouTube video page and select the URL text in the address bar and copy it using the Ctrl-C key shortcut. Paste the address (URL) of the YouTube Video into Jaksta Media Recorder's address textbox by hovering over it or clicking the paste button. The "Multiple Streams Detected" window will appear and show all available formats and qualities. To begin downloading one double-click the entry. The video will then be downloaded to your hard drive. Here are 4 power tips that make it even easier to download videos from YouTube. Instead of cutting and pasting URL's, Drag and Drop any YouTube thumbnail from your web browser to the Jaksta Media Recorder Home tab view. If you have a favorite or preferred format and quality, select these as your preferred settings. The stream that most closely matches will be automatically selected and downloaded. Switch AUTO mode to ON and each YouTube video page you visit will be detected and automatically extracted: No need to cut and paste URLS'. If your preferred format and quality are not available from YouTube, select an appropriate conversion setting and have any stream you download automatically converted to that format and quality.